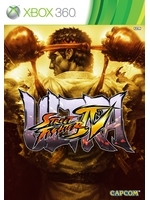 Even if the PS4 version is very far from perfection because of some strange problems, Ultra Street Fighter IV is here and we can offer you some videos in 1080p at (almost) 60 fps. A patch is now available, hopefully it will fix the game and let us play peacefully. Akuma Vs. Hungry Hungry Hippos! Round 1...FIGHT! Sad that Capcom can't get their one bread and butter game left ported right. It's not like they had pressure to put it on 5 platforms all at the same time. This is a game that's been out and it's only one console (the supposed superior performing console). Actually, the company who dropped the ball on the PS4 version of USF4 was Sony, not Capcom. Sony made a contract with Capcom, where SCEA's Third Party Production group were the ones responsible for both developing and publishing this version (link below). And Sony chose Other Ocean, a developer more known for its bad quality ports, to make this version. Hence why so much things went wrong with it. Ironically, for the Uncharted collection on PS4, Sony went with Bluepoint Games, a development studio more known for their really great ports. 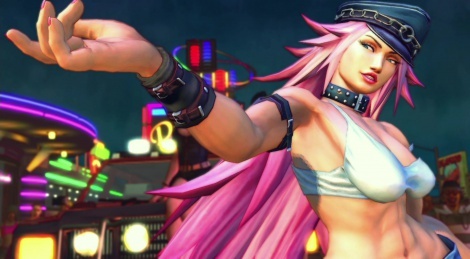 But hey, Street Fighter isn't Sony's IP and Capcom should be more involved with the port. So Capcom is at fault as well, just not as much as Sony. Capcom should have made a contract with Sony where both companies got to chose the studio responsible for the port and manage it. Hopefully, they learned their lesson. The fact that for Sony's own IP (Uncharted) they hired one of the best port developers - and probably one of the most expensive, but for Capcom's IP (Street Fighter) they hired one of the worst port developers - and probably one of the most cheapest. While we don't know how much each developer gets paid, one can think that one of best developers will charge a whole lot more than one of the worst developers. Specially since both are well known for their previous works. So ironically, Sony paid well to a talented studio when it came to porting Uncharted to PS4, but paid cheap to a less than average studio when it came to porting Capcom's Street Fighter to PS4. Of course, all of this is strictly conjecture. There's no proof whatsoever to support this. Just my and some people's take on things. We could all be wrong, though. Ah so you mean Sony is inconsistent (I'm being a touch pedantic, but your statement read weirdly). It would however be ironic if the situation was reversed as one would expect Sony to spend big on one of their most celebrated exclusives and not the other way round. Anyways I get what you're trying to say now.